Marisa and Sal envisioned a wedding day that blended the earthy beauty of their venue with their preference for modern minimalist style. Their wedding was filled with celebrations of their love and beautifully unique elements that celebrated their heritage as well as the Spanish architecture of the venue at Rancho Las Lomas. Fawn Events helped make sure every detail of their vision came to life in a modern black and white color scheme with romantic rose gold accents, marble decor, and organic white flowers. 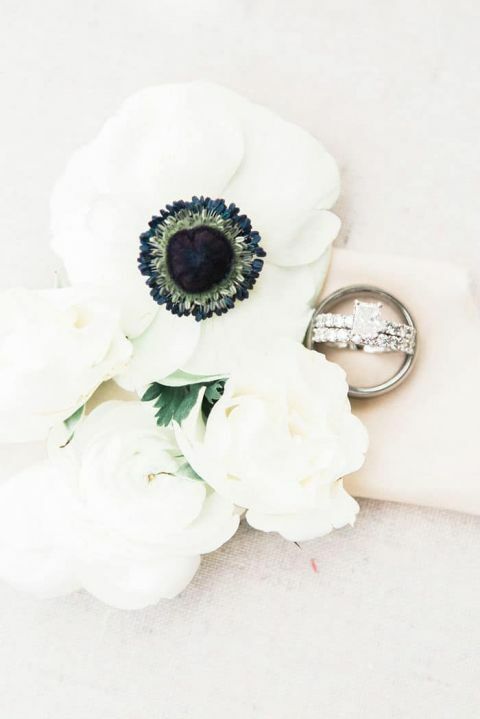 Katie Jane Photography made sure that every photo was a memory to cherish! 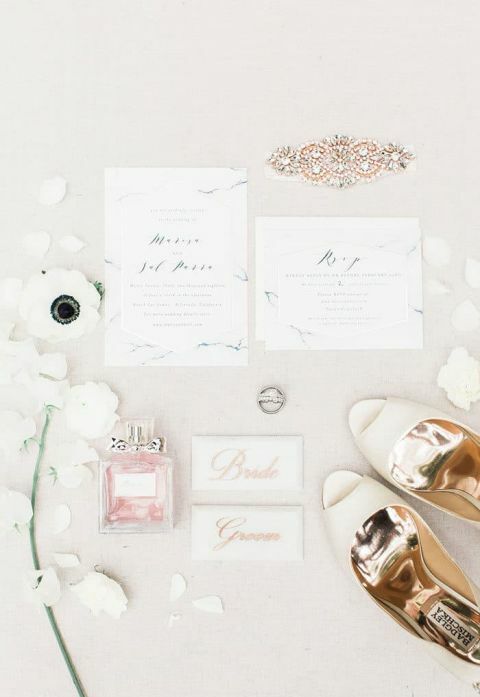 A rose gold and marble invitation suite from Minted perfectly set the tone for the decor that Marisa and Sal had in mind – the crisp white palette with touches of fresh green and metallic accents set the gorgeous tone for the wedding of their dreams! 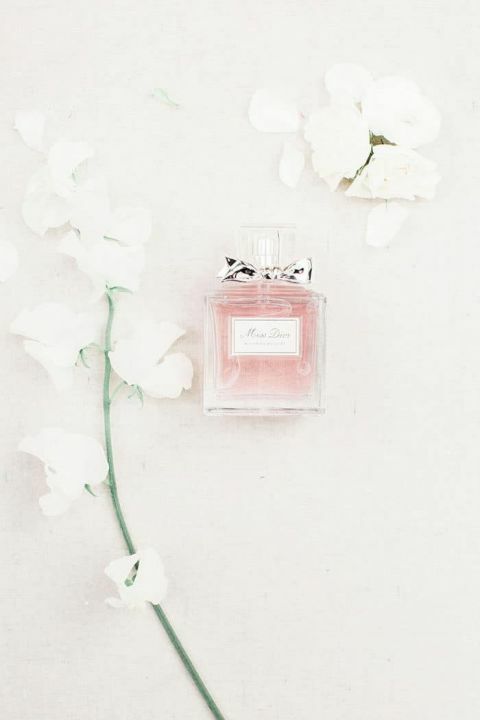 Marisa created a signature scent that would capture the memory of her wedding day – a special Day Of perfume was just the start as floral designer Modern Bouquet incorporated botanical herbs into the bride’s bouquet of white flowers and greenery to create a fresh effect! 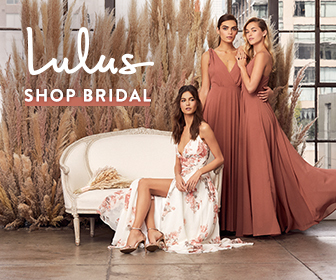 It was nothing like what I thought I would be wearing but when I put it on it fit me so well and was so comfortable, which I didn’t know wedding dresses could be. I honestly did not even think about if it was going to match our style but due to the fact that we stayed to true to ourselves, it ended up matching perfectly. Hair and Makeup Artist Vanity Belles accented her timeless beauty with Old Hollywood curls and a soft smokey eye. Her vintage glam look was perfect for the elegant Spanish style of the venue! The bridal party looked ultra modern in all black, with floor length dresses for the bridesmaids, and black suits and shirts for the groomsmen! Modern brush lettering on acrylic created a modern look for their signage – it gorgeously tied together the key elements of their wedding day while fitting their modern minimalist vibe. This jaw dropper of a ceremony was designed with the earthy beauty of Rancho Las Lomas in mind. The geometric backdrop framed the stone steps to create incredible depth in their photos, with candles flickering behind Marisa and Sal as they said their vows and became husband and wife. Sorry, Sal – I couldn’t leave this moment out! If I had to choose one memory that will always last with me forever it would have to be the moment I walked down the aisle. First of all, I was very nervous to have all the attention on me, but having my dad by my side and seeing how calm he was helped me so much. Then, seeing Sal at the other end of the aisle made everything so much easier. Sal andI had spoken of that moment throughout our engagement and he warned me that he is not the crying type, so don’t expect him to cry….sure enough, he was in tears it was such a sweet, heartfelt moment that I will never forget. So many emotions were running through us and our guests it was so sweet. The ceremony arch made another appearance at the reception, serving as the backdrop to the Sweetheart Table! A mink gray tablecloth ensured the bride and groom’s table stood out among the guest tables at the courtyard reception, but the geometric accent frame the couple perfectly! 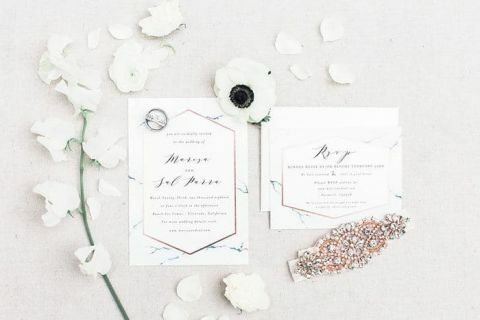 Their table decor fit the design brief with earthy and elegant white flowers, rose gold flatware, and marble menu cards at each place setting. Acrylic table numbers were accented with rose gold lettering to give each table a metallic pop, along with mercury glass votives for romantic lighting. This custom sign made sure guests knew about the His and Hers specialty cocktails – a margarita for the bride and a martini for the groom! Elise Cakes created the centerpiece of their dessert display – a marble and rose gold wedding cake! We wanted our cake to stand out but also be timeless. We ended up doing a gray and white marble swirl cake with rose gold flakes and a solid rose gold foiled bottom tier. It was beautiful! In a wedding full of beautiful details, the dessert display took a special place of honor, with a custom ‘Parra Siempre’ sign that made a play on their shared last name and the promise to love each other forever! Sal and I were set up on a blind date by our mutual friends. My good friend/co-worker Victoria, told me her fiancé had a friend named Sal and that she thought we would be perfect together, and to our surprise, she was right! We did have the typical awkward first date, which was also a group date with Victoria and her fiancé, as well as Sal’s roommate and his girlfriend (so I definitely felt like I was up against a panel of judges, it was so nerve-wrecking lol) On our first date, Sal was also so nervous, he did not even sit next to me, but instead sat on the opposite side of the table, next to his friend. I was so confused at the fact that Sal didn’t sit by me, I began to question if it was even a date at all! As our date continued, we finally found ourselves talking to each other. What began as two strangers struggling to having a conversation quickly developed into a sweet love story. As our relationship grew, I fell in love with Sal’s humor, loyalty, and kind heart. Sal says he fell for my upbeat personality, trustworthiness, and sweet demeanor. Although we had an unconventional first date our love story is a reminder that when two people are meant to be, love will find its way. Sal proposed to me in Fiji! (I mean does it get better than that!) He knew that one of the places I had always dreamed of visiting was Fiji. So for our 2 year anniversary, he surprised me with a trip to the Fiji Islands. I was so ecstatic and little did I know, it was going to be an even more eventful trip than I thought. After a day of zip lining through the tropical forests of Fiji, Sal had a private dinner on the beach planned back at our resort and he proposed to me right at sunset under the beautiful Fijian sky! He had also planned for a photographer to capture the moment to show our friends and family back at home. It was seriously a moment out of a movie! As we began to plan for our wedding, we knew that we really wanted to stick to a timeless look. Our personal styles are a modern, minimalistic, and ethereal. Therefore, we wanted to stay true to what we love. We began with our color selections, we chose white, black, rose gold, and greenery for our timeless look. Our venue location was one of the most important selections for us. We really desired a location that was gorgeous enough to hold both our ceremony and reception. This is when we came across Rancho Las Lomas. We really wanted to incorporate the earthy, natural beauty of Rancho Las Lomas with a modern, minimalistic twist. 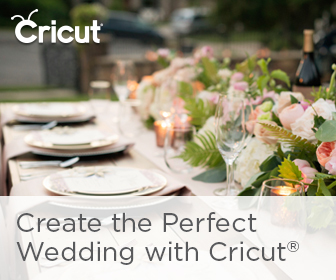 What were the most important aspects of planning your wedding? Making sure we stayed on budget was so important to us because we did not want anything to compromise our Honeymoon. However, we did have a few musts that we were willing to splurge slightly on. For me, it was a beautiful venue that could hold both ceremony and reception, a great photographer and videographer to capture the day, and an amazing coordinator (All of which we got!). Marisa & Sal from Audrey Alba Films on Vimeo.